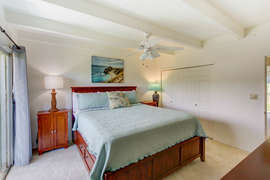 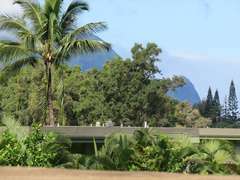 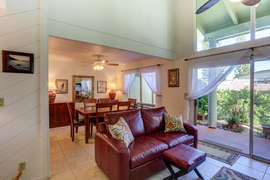 Right next to the Westin Princeville Resort, Puamana 18B is a great choice! 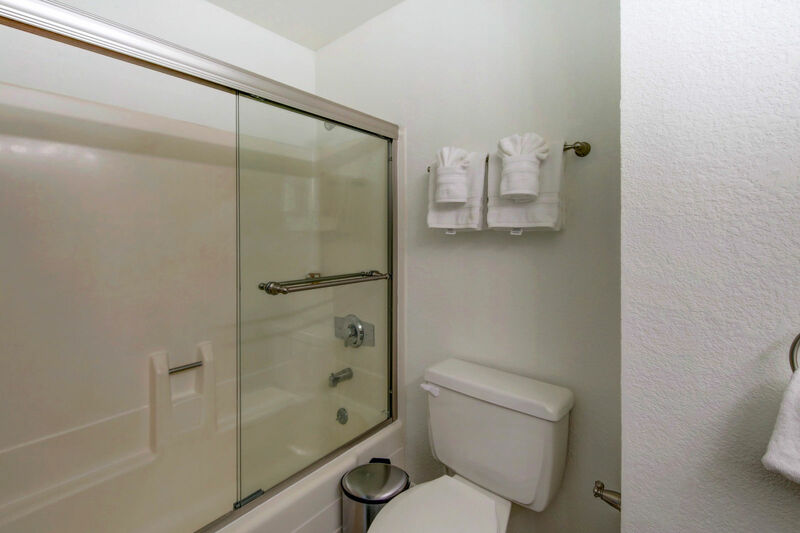 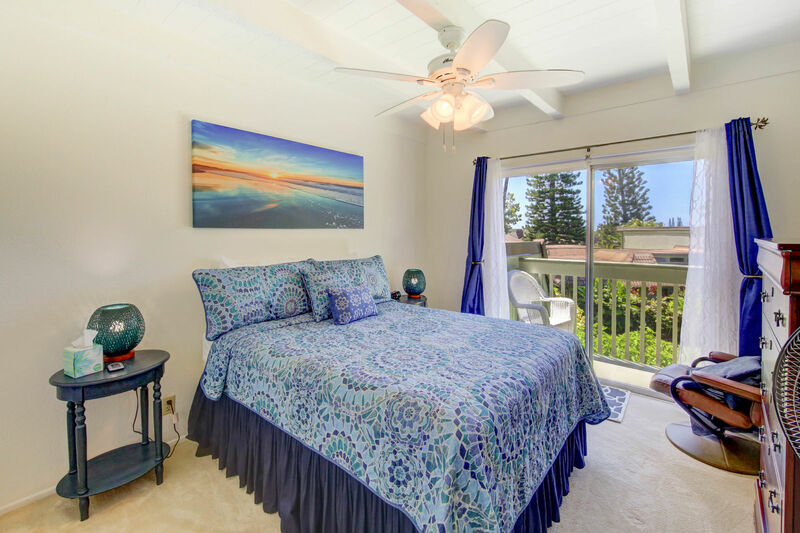 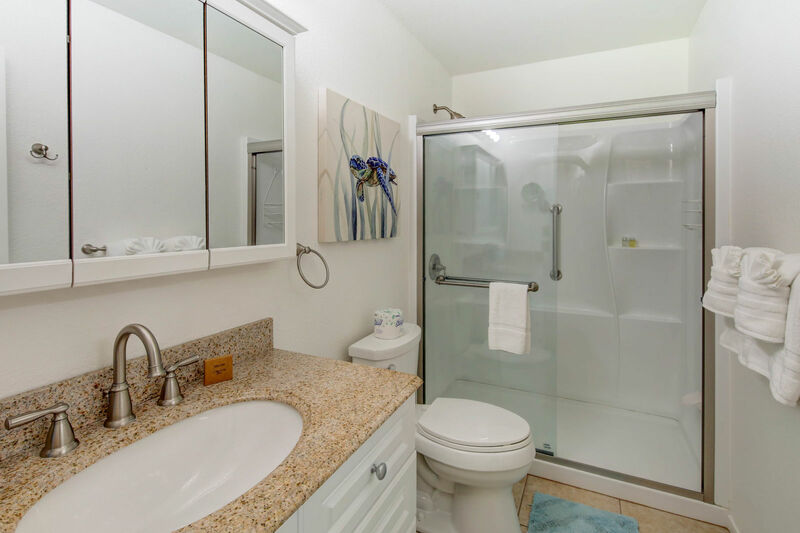 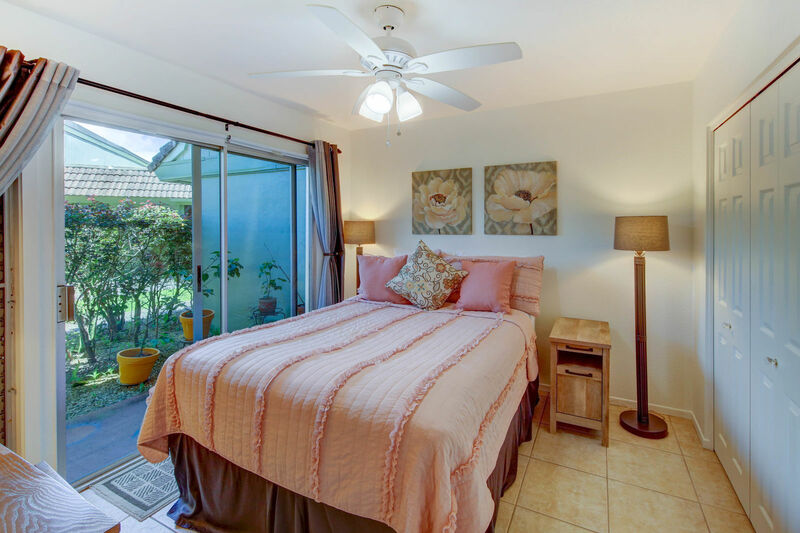 Only one of 8 units in the complex, 18B features 3 bedrooms, each with its own private lanai and 3 full baths. This 2-story unit feels more like a home than a condo. 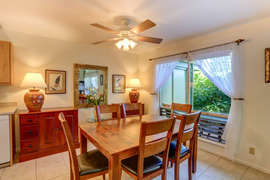 Close to restaurants, shops and the beach. 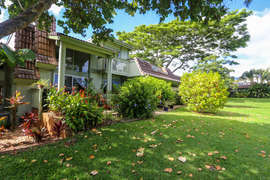 It is close to Anini beach, site of Hawaii's largest coral reef . . . literally just 200 steps away and accessible by a maintained foot trail. There are fruit trees on property for all residents and guests to enjoy that include: lemon, lime, orange, grapefruit, breadfruit, papaya, banana, fig. 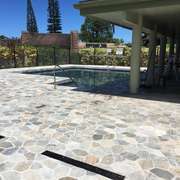 Their is a newly remodeled pool complex. 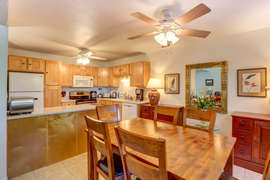 Grounds have beautiful landscaped green spaces between buildings and there is a private garden off of the living room. 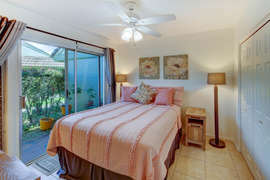 Puamana is directly next to the Westin pool bar, restaurant, coffee shop and market. 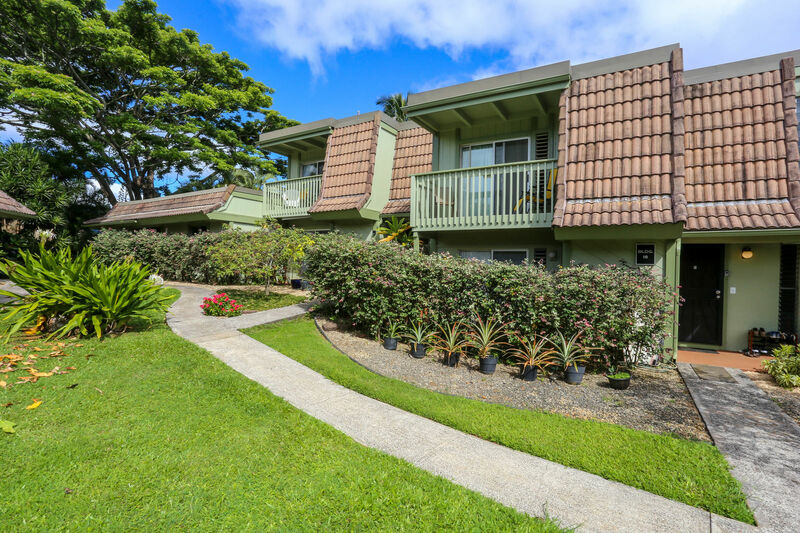 There are easily accessible paths to Princeville park, playground, library and the Princeville shopping center. 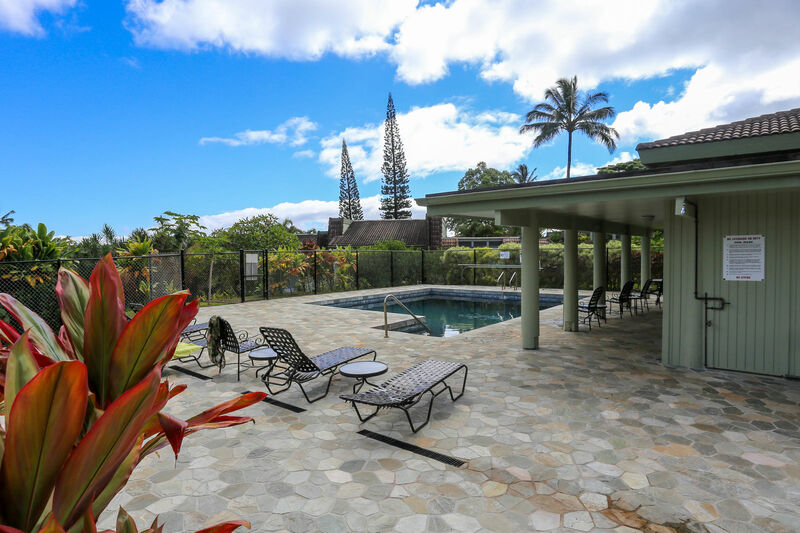 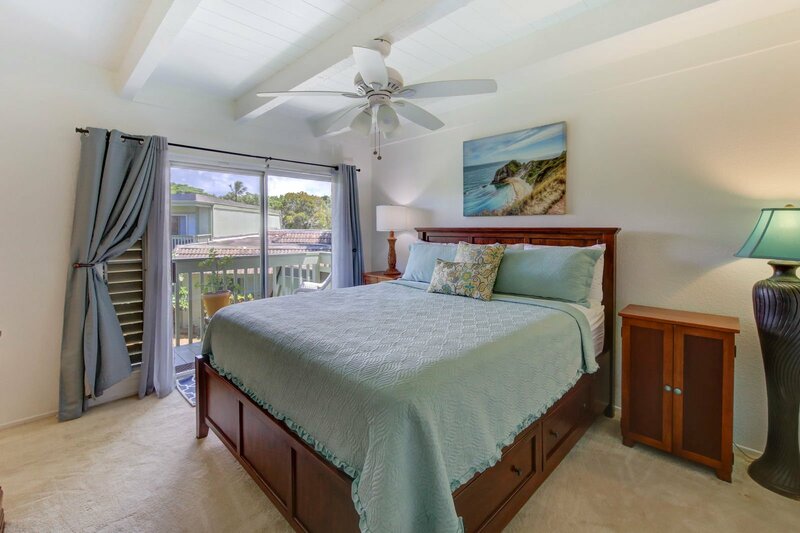 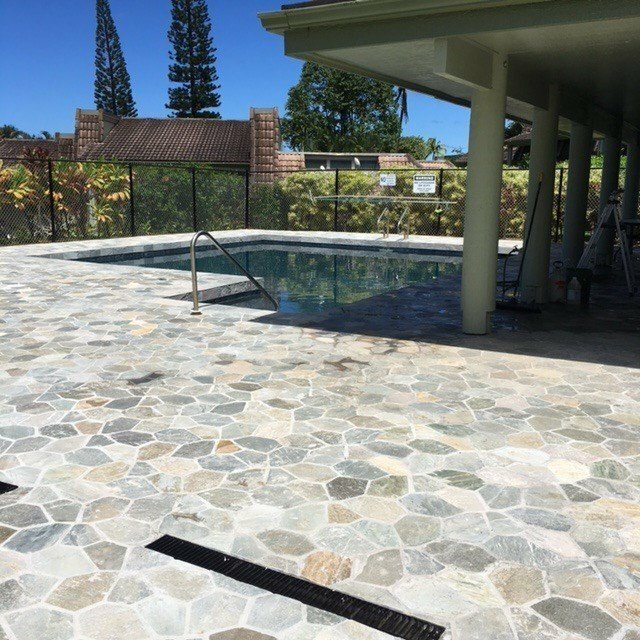 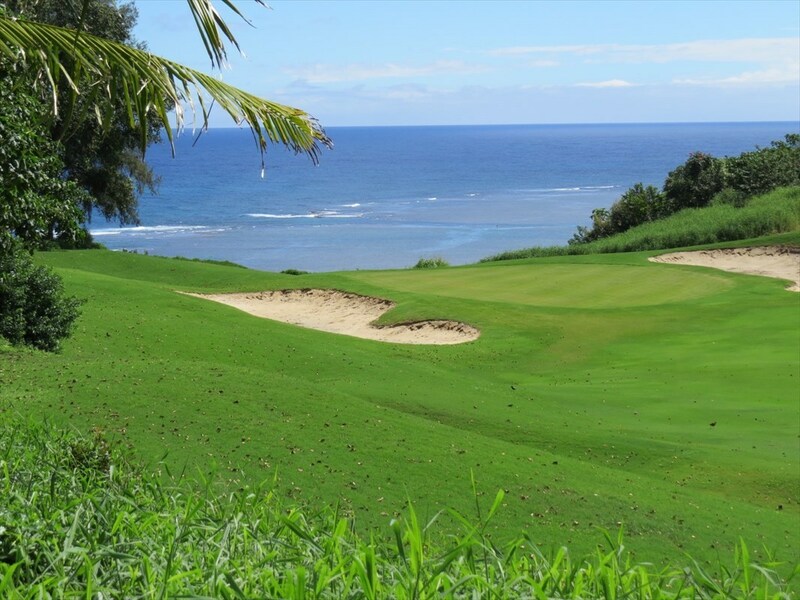 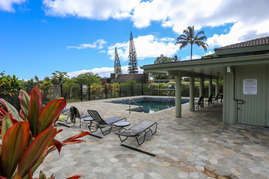 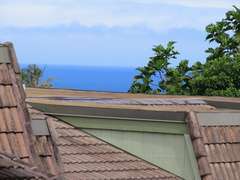 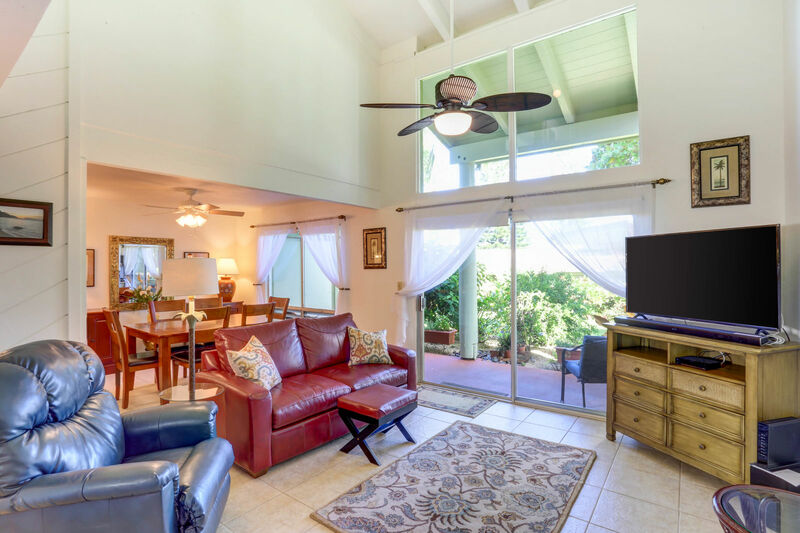 Puamana is neighboring both Prince and Makai Golf Courses and the complex offers spectacular sunrise/sunset views from the golf courses The views from the upstairs lanais include beautiful mountain, bluff top and peeks of the ocean. 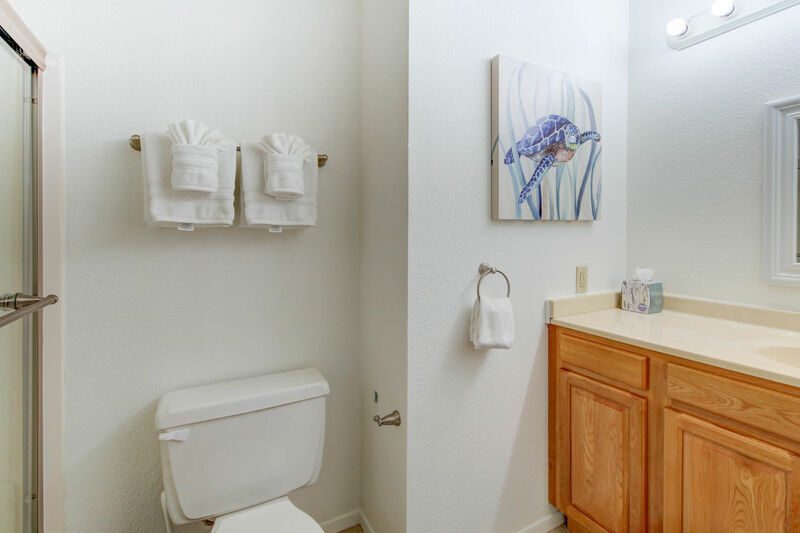 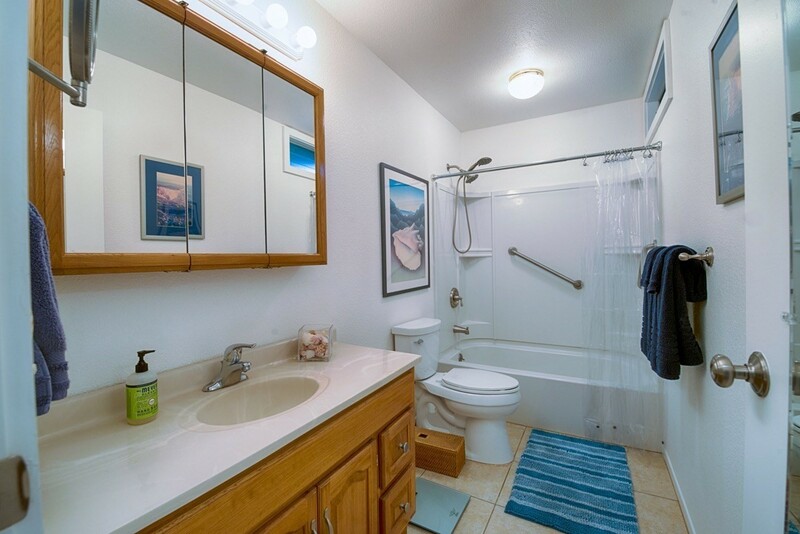 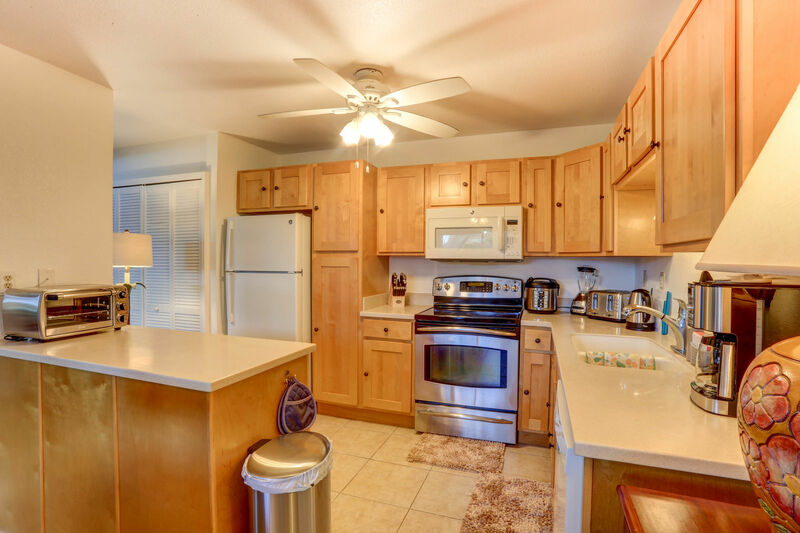 The unit includes a high end washer/dryer, new interior paint throughout, ceramic tile flooring on ground level with plush carpeting on the second level, new ceiling fans in all rooms and a remodeled kitchen done in 2012 (including new cabinetry and double ovens). 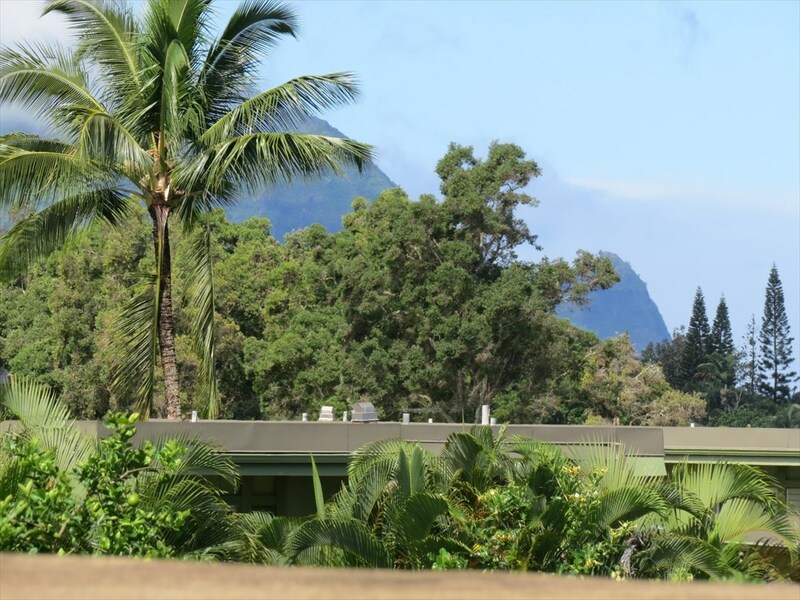 There is on-site guest parking available. Puamana 18B has it all.